Finally! 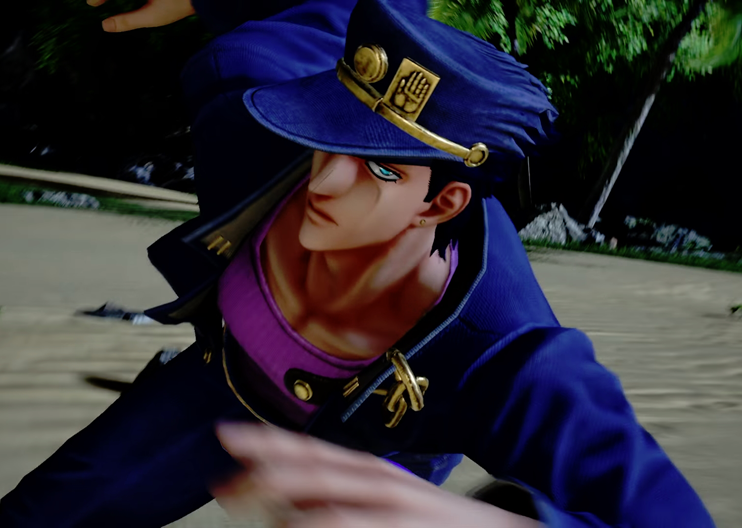 Jotaro Kujo and Dio Brando are revealed for JUMP FORCE! Was wondering the entire time if they were going to treat us to some JoJo’s Bizarre Adventure characters, and it seems we get two of the most popular from Part 3: Stardust Crusaders. One of the things I have heard mixed feelings on is the aesthetics of JUMP FORCE, some people liking the style and particle effects while others feel they are ugly and everyone looks as if they are made of rubber (though that is accurate with Luffy from One Piece). Luckily, it seems as though Jotaro and Dio look good, probably because of the amount of detail that the manga was drawn with during the first 3 chapters of JoJo’s Bizarre Adventure, therefore it translates good into this real-life style. Their attacks seem mostly stand-based, which makes sense considering that what the series has evolved into. Their time-based attacks seemed to be handled well, with Jotaro having something along the lines of a counter while Dio seem as though it goes into his famed “Road Roller” attack after a punch successfully connects (probably his Ultimate). Overall, I am glad they added these characters into the fray and will be amazing to see since you can customize your own character. Having the “Road Roller” attack as an ultimate (if it is one) is something that would prove amazing. These two characters, Jotaro and Dio, are great additions to the already all-star cast. Viz Media’s “Neon Alley” Comes to the U.S.
DmC: Devil May Cry, Current Analysis & Impressions. Danganronpa 2: Goodbye Despair – 10 Brand New Screenshots!